Like all Axis powers, Japan was striped of its ability to develop and build tanks after its defeat at the end of World War 2, with security provided by the occupying American Forces. 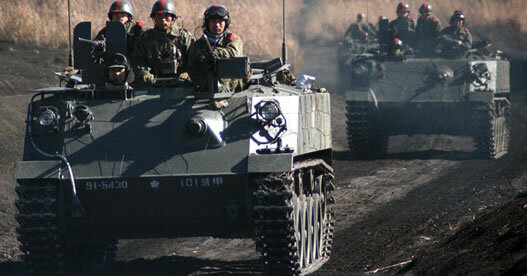 In the 1950’s Japan was allowed to rearm forming The Japan Ground Self-Defence Force and with this came the opportunity to develop its own Armoured Fighting Vehicles again. 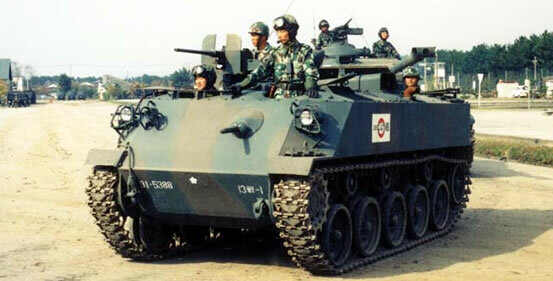 The Type SU 60 APC, was the first of these vehicles. Both Mitsubishi and Komatsu submitted prototypes for field trials under designations SU-I and SU-II and the later was selected under the designation SU-60. Both companies built somewhere between 400 to 430 vehicles in total. Standard APC has a four man crew, Driver front right, 7.62mm Bow MG operator on the left. Between them is the commander and behind him is a 12.7mm MG (with a shield). Rear compartment is 6 troops who exit the vehicle through either roof hatches or rear doors. The vehicle is built of steel and lacks an NBC protection system. The vehicle uses a Mitsubishi Model 8 HA 21 WT V-8 air cooled diesel. This generates 220hp giving a top road speed of 45km/h and range of 300km. Type SX 60 81mm Mortar Carrier – Has a 81mm mortar mounted in the rear which can be removed and operated from outside of the vehicle as well. 18 of these vehicles were built. Type SX 60 107mm Mortar Carrier – Has a 107mm mortar mounted in the rear which can be removed and operated from outside of the vehicle as well. 18 of these vehicles were built. SU 60 Dozer – Front mounted dozer blade, only two vehicles were built. NBC Detection Vehicle – Has a rear device for taking soil samples. Anti-Tank – Fitted with two KAM-3D Anti-Tank Guided missiles on hull roof. Production ran from 1960 to 1979 with 223 vehicles built and is still in service. A recoilless rifle fires rounds that are not practical to fire from a recoiling rifle, such as a standard tank gun. The twin guns can fire HEAT and HE rounds. The guns have a limited traverse of 10 degree’s left or right and elevation of -5 to +10. 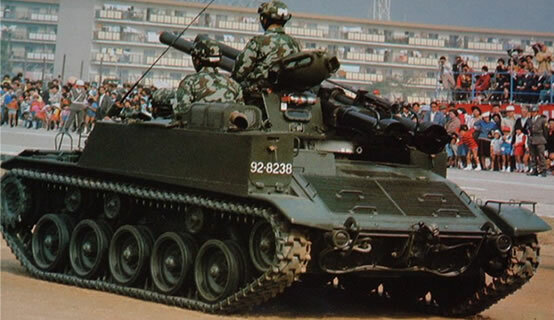 These can be both increased by a powered control raising the guns mount above the roof of the vehicle, to a traverse of 30 degree’s left or right and elevation of -20 to +15. The vehicle also has a 12.7mm ranging MG. It was built in three models, the last being Model C which had an improved engine.